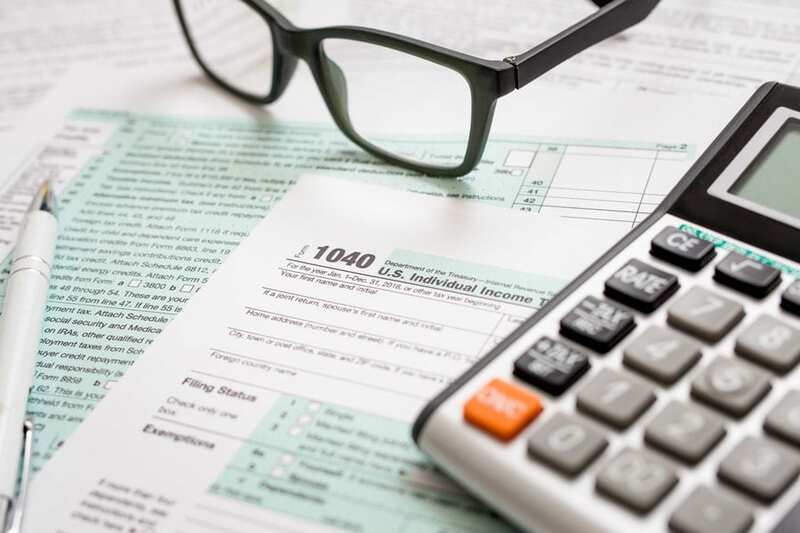 Taxes are a realty of everyday life for individuals and businesses, from tax withholding to payroll processing to planning for retirement, a new home, or a child’s education, to estate planning to back taxes owed. But with state and federal tax laws changing on a regular basis, and your personal or organizational tax situation subject to change just as quickly, it’s difficult to develop and implement a tax plan, or know if you’re taking the steps to achieve your desired tax and financial goals. The tax planning professionals at Gosling & Company, P.C. have helped generations of people and companies in Northeast Iowa plan for the important moments in their lives, file their taxes knowing they’ve achieved their lowest minimum tax liability, and resolve lingering, serious tax compliance issues—explore the section below to learn how our tax services can make a difference for you. When you’re driving, it’s difficult to get somewhere you’ve never been without a roadmap; the same is true of achieving tax and financial goals during the lifetime of an individual or company. The experienced tax planning professionals at Gosling & Company, P.C. can help you develop your tax planning roadmap in order to achieve the goals you’ve set for yourself or your organization. Our tax planning services are all aimed at reducing your tax liability, from structuring income distributions to related parties and businesses or deferring income and expenses to achieve a lower overall tax bill, to reducing retirement, gifting, and estate-related taxes, to utilizing investment options and tax deductions to establish tax-free streams of income and acquire desired assets, such as vacation properties. Regardless of your financial situation, income tax savings is possible with our proactive tax planning services. Everyone is different, and everyone has different financial goals and needs. Because of this, everyone needs a different financial strategy, and that’s where the dedicated team of CPAs at Gosling & Company, P.C. come in! We’ll review your current financial situation and discuss your financial goals, including saving for retirement, funding college education for your children, creating a financial safety net in the event of disability or death, and developing an estate planning strategy that reflects your wishes. Each of these elements is a piece of the puzzle of your long-term financial health, and achieving them requires the wisdom of financial advisors and tax specialists who have assisted many Northeast Iowa residents reach their goals. The dedicated professionals at Gosling & Company are ready to help you strategize an optimal approach. Estate planning can be difficult, but you don’t have to do it alone! Turn to the estate planning professionals at Gosling & Company to help you develop and implement the estate plan that fits you. The compliance requirements of annual Federal and State income tax filing change regularly. This magnifies the value of retaining an experienced professional. The professionals at Gosling & Company possess that experience combined with a thorough understanding of tax law and recent changes. The reporting process for individuals, partnerships, limited liability companies, corporations, trusts and estates is complicated. All returns are unique to your set of facts. The use of a preparer that lacks expertise and knowledge for your personal or business returns can result in a costly oversight either in overpayment of tax or subsequent penalties due to lack of an accurate report. The dedicated members of our tax advisory and preparation team will always focus on your best result. The implementation of a planning strategy will decrease the likelihood of an unexpected tax burden. This emphasizes the importance of retaining a professional that is available throughout the year and not limited to the filing season. Our team and your personal representative will be available at any time during the year to help guide you on questions that will impact the final annual return. Whether you are an individual, or representing a business, nonprofit organization, trust or estate, located near the Cedar Valley – US 20 corridor in Northeast Iowa, Gosling & Company, P.C. is available to provide superior tax services that will fit your schedule. Tax problems can be like a snowball; they often start out small and grow in size and severity the longer you push them away. Remember, your tax issues won’t go away on their own and instead will get worse; the IRS is the world’s most-efficient collection agency, and it has many avenues for obtaining money owed to it, including wage and bank account garnishment, foreclosure, forcing the sale of certain assets, and more. If you have tax problems, including back taxes owed, unfiled tax returns, IRS liens and levies, and IRS property seizures, you need professional assistance now. The accounting team at Gosling & Company, P.C. possess extensive experience working with the IRS to assist clients with tax problems, including performing IRS-required audits, providing bankruptcy counseling and payroll tax payment assistance, and settling debt with the IRS. When you’re facing a tax issue, you don’t have to go it alone—but you do need to take action as soon as possible. Trust the experts at Gosling & Company to assist you with your back taxes and other tax compliance issues and help you get back on the road to financial well-being. Contact Gosling & Company, P.C. today. We take the mystery out of taxes, beginning with tax preparation, and provide you with the tools to plan and implement your tax-related goals and resolve tax compliance issues.